Desert-centric issues of Fremontia are here! 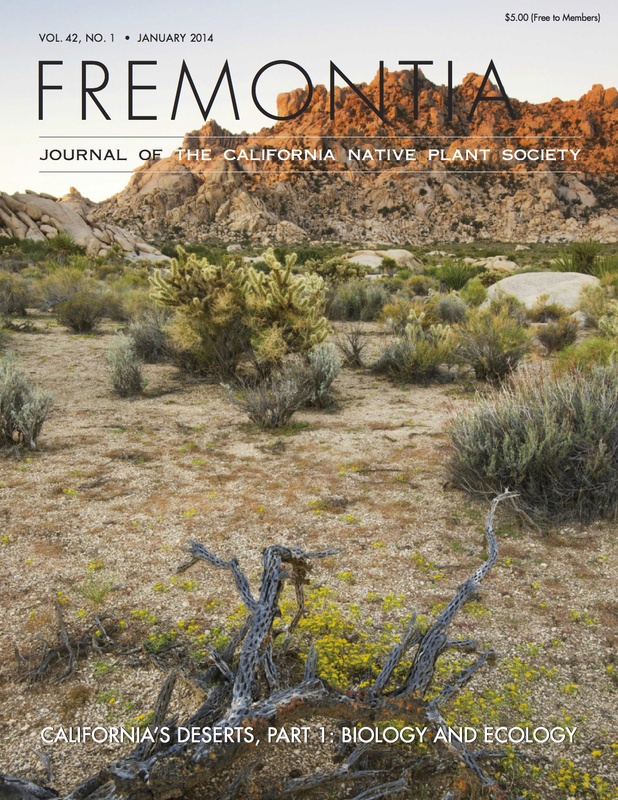 As guest Managing Editor I assembled and edited the two 2014 issues of Fremontia, Journal of the California Native Plant Society, to bring visibility to desert plants, ecosystems, research and regional management challenges. The first issue is out in open access. The second is available upon request. Please email me if you would like PDF versions of articles or to borrow one of my gorgeous photo-laden paper copies. Electronic distribution will follow later in 2014. 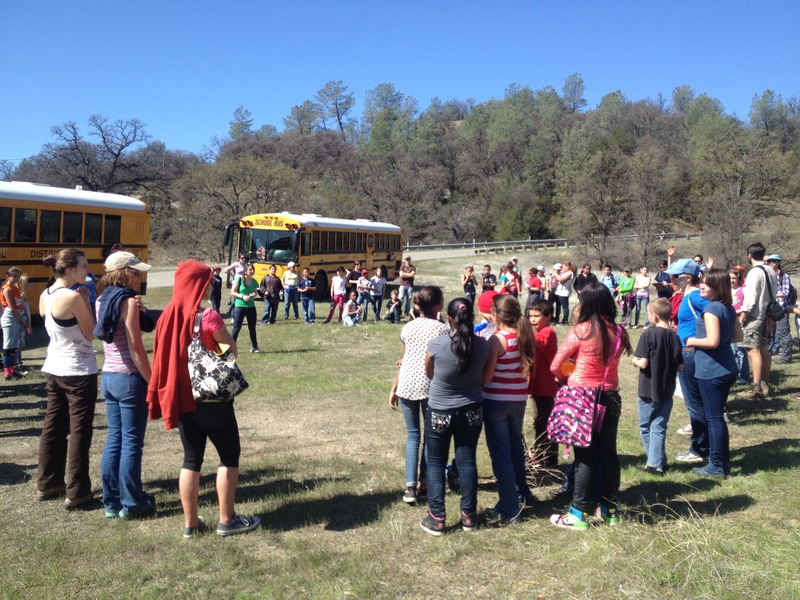 The issue for May 2014 is in press and will focus on threats to desert plants and ecosystems. I’m very proud of these issues and grateful to the wonderful authors, reviewers, and editors who contributed! The January issue features an article that I wrote with Jim André entitled “Rare plant diversity in the California deserts: priorities for research and conservation.” The May issue has an article by Karen Tanner, myself and Bruce Pavlik on our study on the effects of shade and water regime change on desert annual communities.